The goal at Angela's Photography is to provide you with the perfect photograph. Angela's Photography incorporates her unique and creative frame options along with her inspiration to create, display and capture your memories. Traditional Photographic Print: Custom made with archival inks and paper, for black and white and color prints. Traditional Photographic Print Paper with Shiny Sheen: Custom made with archival inks and paper, for black and white and color prints. Wood framing with mat and glass includes a finished back with wire hanger, ready to hang. Traditional white mat with black or brown framing is available. If you want to customize your presentation with colored and/or textured matting and special order framing material, please email or call me @ (402) 802-0331 to discuss your design.Special orders may be subject to different pricing. Shipping charges will vary depending on size, weight, and professional packing to prevent breakage. 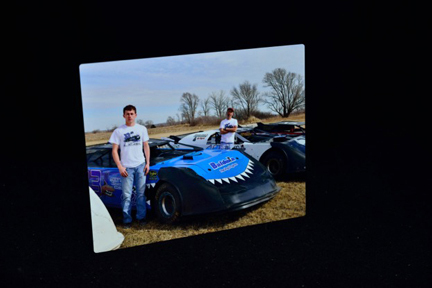 Metal Prints are a popular contemporary presentation with sleek, clean, thin, and well-defined edges. 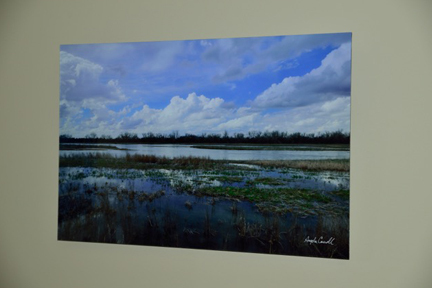 Metal prints enhance the rich colors and can also be created in black and white. The photograph is not glued onto the aluminum sheet, but rather sublimated. Therefore, the photograph will never peel off or fade. This unique art piece can be easily dusted with a soft cloth. The metal print is ready to hang utilizing a sub-frame hanger on the back. Canvas is a popular modern presentation that enhances any décor. Many have said that the photograph ‘looks like a painting’. The photograph is printed onto high quality canvas which is then coated with a waterproof and fade resistant protection. 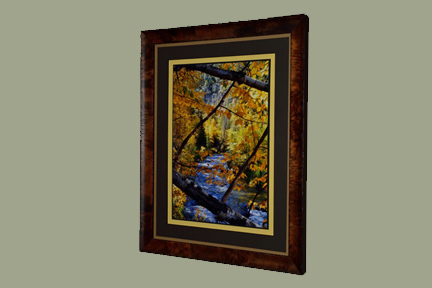 The canvas is stretched around a quality wood framing structure and includes a protective back covering. 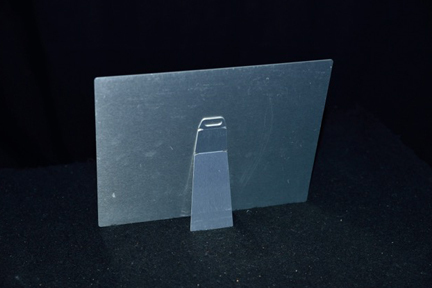 Your canvas piece includes a hanger and is ready to display. This stunning art piece can be easily dusted with a soft cloth. Acrylic is a very unique and modern presentation that is neither glass nor plastic. 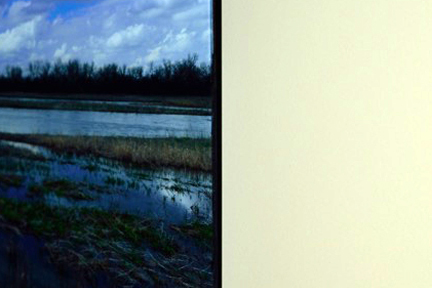 The photograph is mounted between crystal acrylic and an aluminum backer, with aluminum sub-frame for hanging. 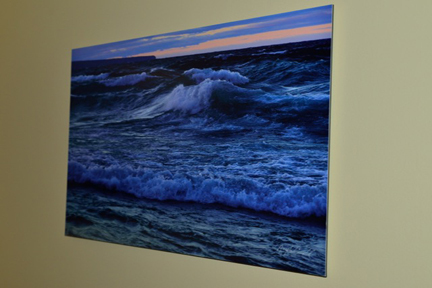 The Acrylic piece enhances the photograph with extraordinary depth and vibrancy. Your favorite photograph will surely be the highlight in any room. 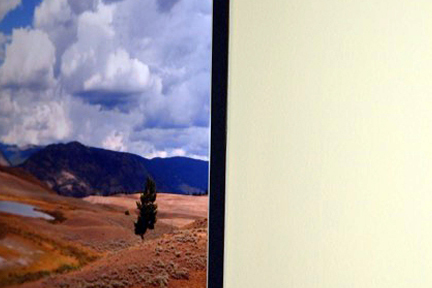 The E-Panel is a very modern and sleek mounting presentation. The edges are clean and well defined. 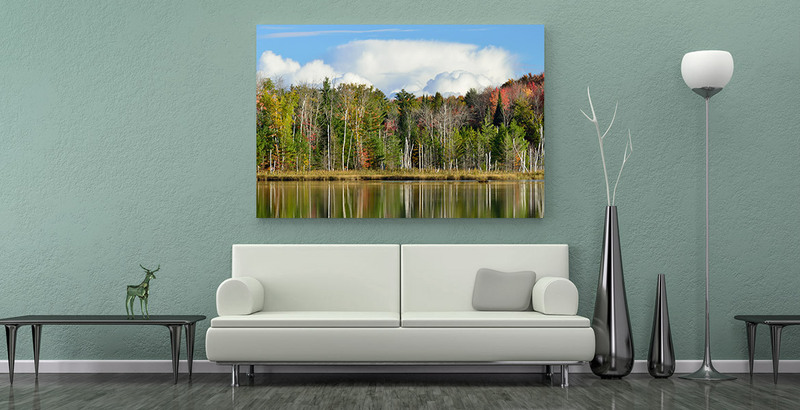 The fine art photographic print is laminated with double sided, acid free laminate onto a lightweight and durable sheet of E-Panel. These are two pieces of aluminum, sandwiched over an extruded PVC core. The entire piece is then protected with a pearl laminate. The unique fine arts piece has a hanger on the backside, ready to hang when it arrives. This photograph can be easily dusted with a soft cloth. 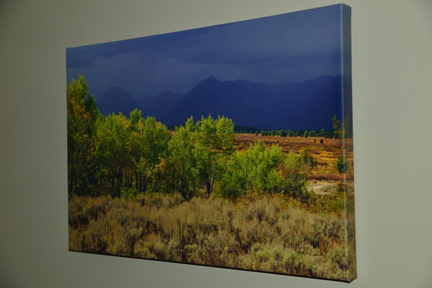 This presentation is a favorite with museums, galleries, homes and offices. This is a stunner! Everything about this unique presentation is custom and handmade! There are no two pieces alike. 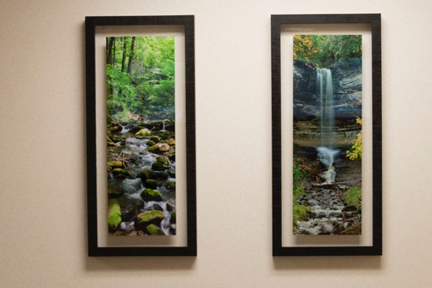 Your photograph is mounted with special laminate directly on the glass and then a custom wood frame is applied. The mounting is very solid with special hanging mounts. 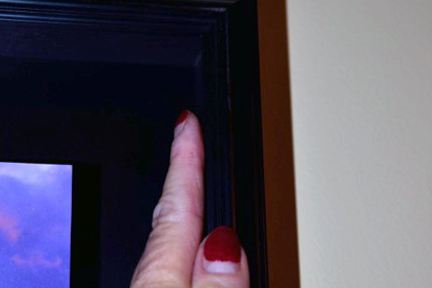 The special photographic presentation has more weight than a traditional frame; therefore, needs to be secured into a wall stud. You will need to call or email me to discuss your design since this is a custom piece. Each piece has different pricing. Professional packing and shipping is necessary to prevent breakage; therefore, shipping charges will vary.You will need to call me to discuss your design since this is a custom piece. Each piece has different pricing. Professional packing and shipping is necessary to prevent breakage, therefore shipping charges will vary. 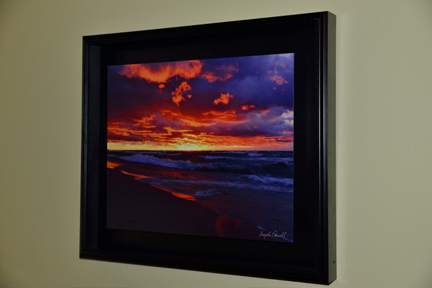 The Shadow Box is an extraordinary presentation for your fine art photograph that is sure to be a conversation piece! 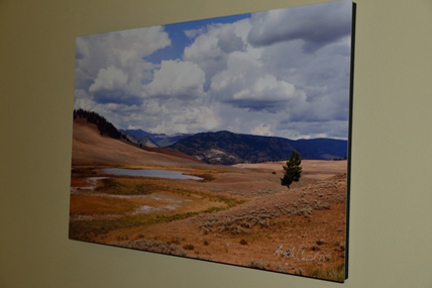 The photograph is mounted on an E-Panel (see above description) and then specially mounted into a deep frame. This presentation is custom and handmade. The unique mounting gives the photograph a 3-D feel. 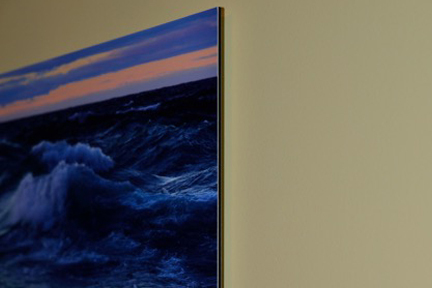 The mounting is very solid with special hanging mounts. You will need to call or email me to discuss your design, as this is a custom piece. Each piece has different pricing. Professional packing and shipping is necessary to prevent breakage; therefore, shipping charges will vary.